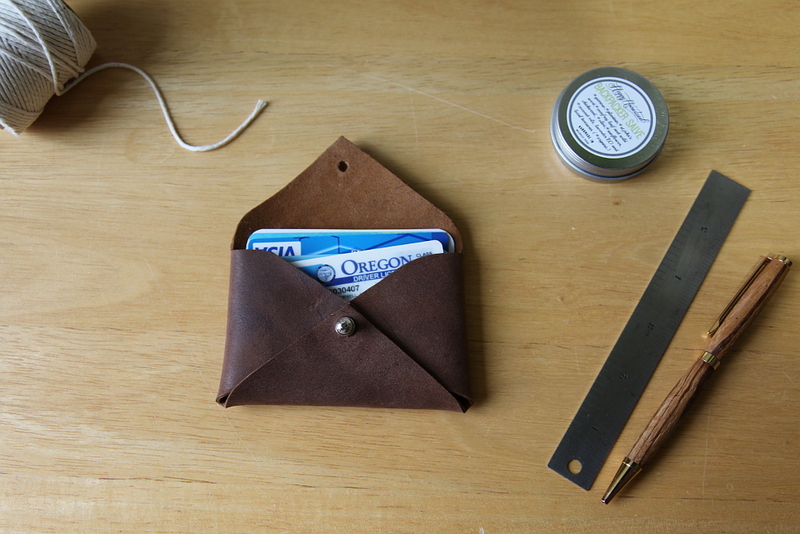 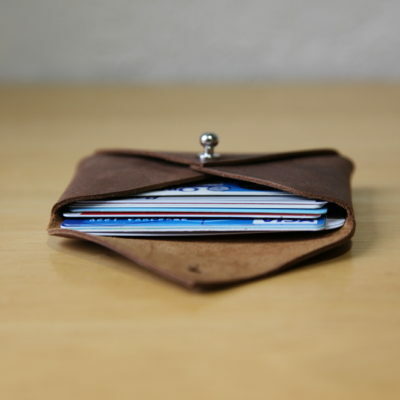 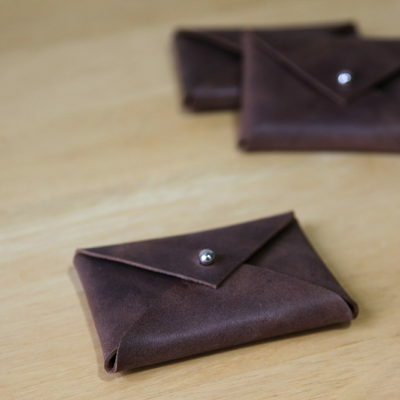 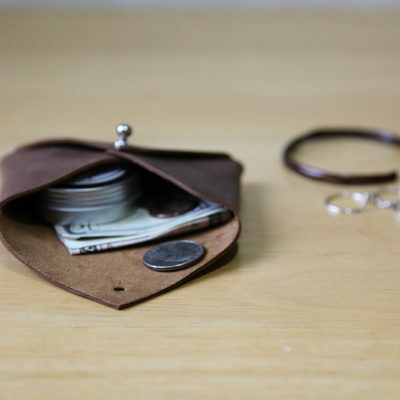 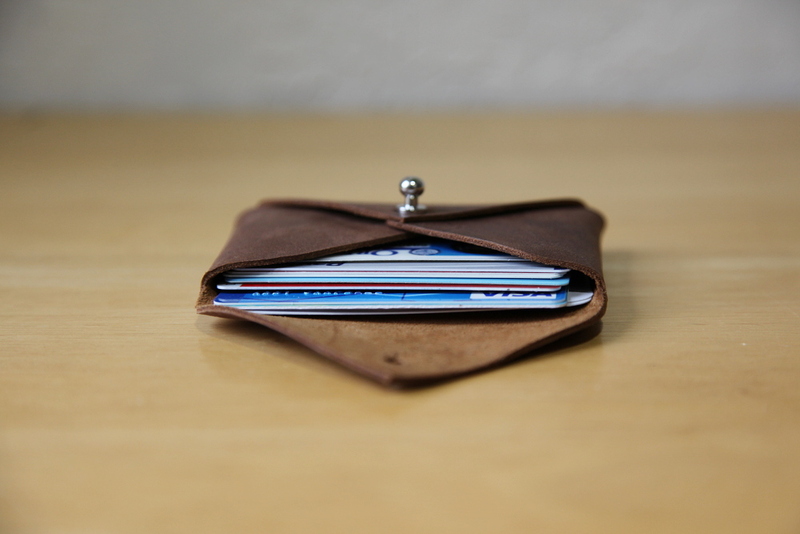 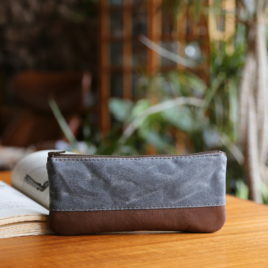 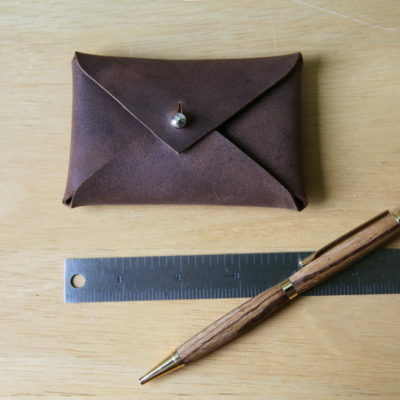 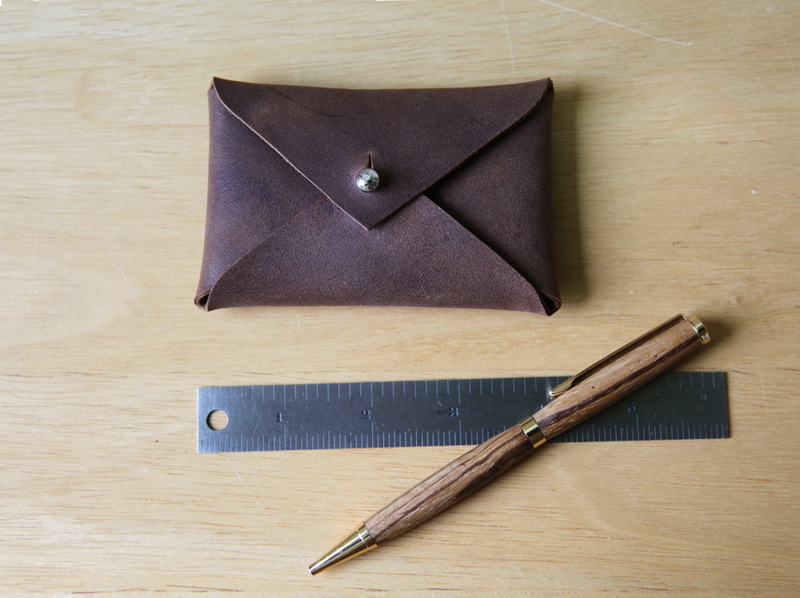 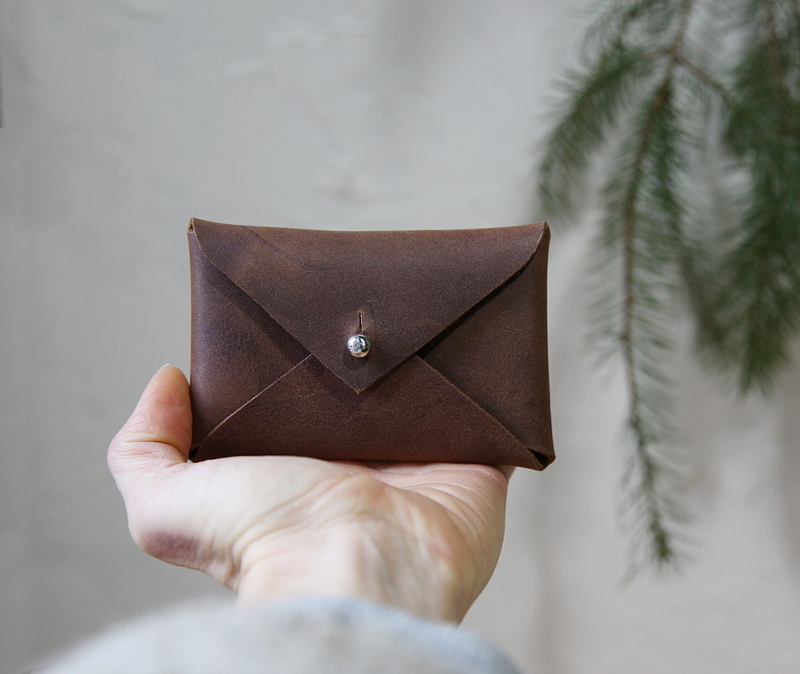 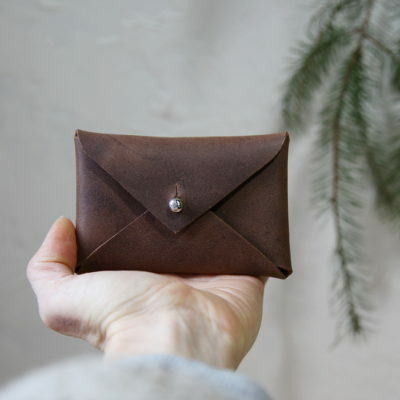 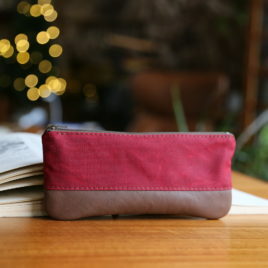 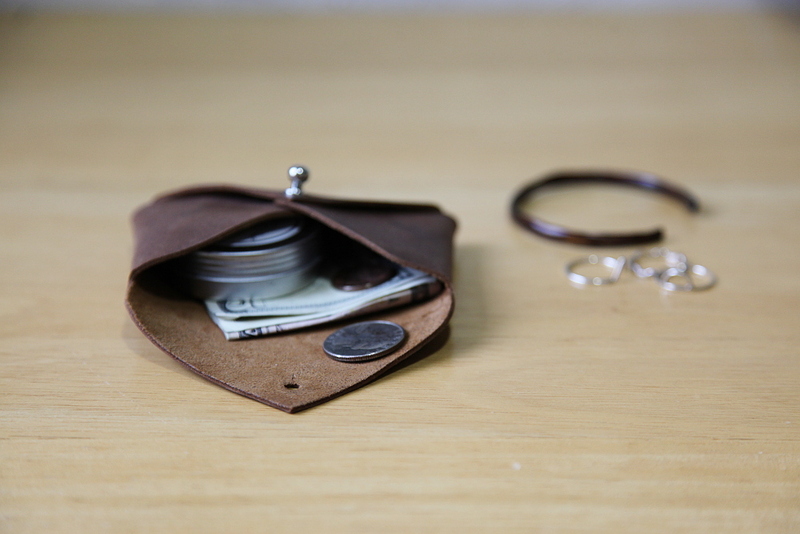 A minimal wallet for carrying cards, cash and coins. This little envelope also provides a perfect place for the small things that float around in your bag, like that tin of salve, your SD card, the stray guitar pick, etc. 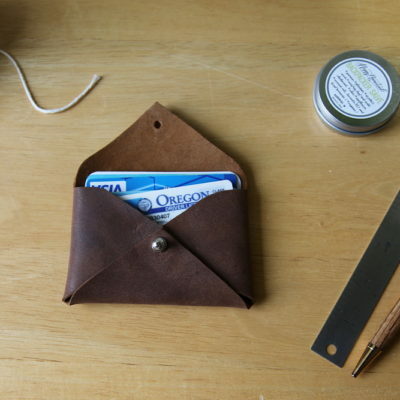 I use mine to carry business cards and change. 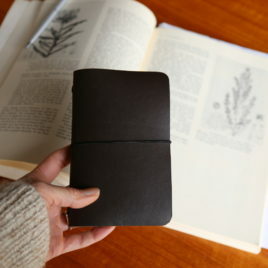 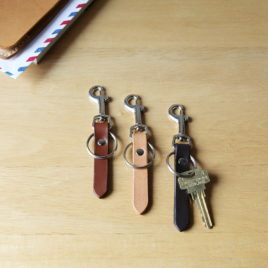 Made with a beautiful, velvety soft brown leather. 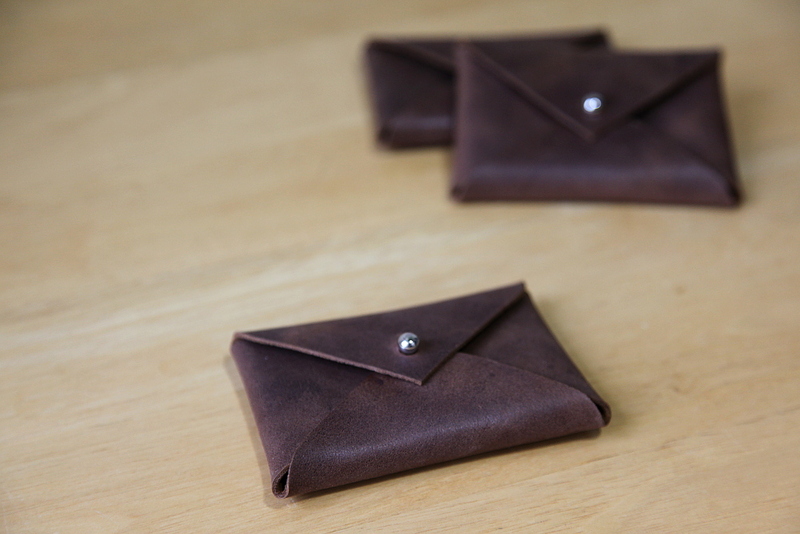 Button stud closure.